Three months back just after celebrating the New Year and delight to become the host of international event named World Expo in year 2020, Sheikh Hamdan bin Mohammed, Crown Prince of Dubai and chairman of the Executive Council announced to charge a fee as tourism tax from tourists visiting and staying in tourism rentals in the city. What is Dubai tourism tax? 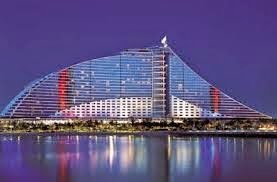 The tourism tax in Dubai is a small fee which will be applied per room, per night. Depending on the rank and hotel type the amount ranges from AED 7 (£1.17) to AED 20 (£3.33). All guests staying in all hotels, hotel apartments, guest houses and holiday homes are required to pay this fee with their bills. The new charge will roughly add total £23 to the total holiday cost in Dubai for a week. After being listed among United Nations World Tourism Organisation (UNWTO) top 10 fastest growing tourism hotspots for year 2013, it is clear that the city is receiving huge number of tourists throughout the year. Further, expo 2020 is expected to increase the total number of tourist to 20 million, which is double to the number of 2012. According to estimates Dubai will have to bare total cost of Dh32bn for hosting the international event of World Expo in 2020. With total amount of Dh26bn for investment, rest of the amount is considered to be operating cost of this event. Having considered the huge cost of this event, State Government decided to find some suitable way to fund this event. Tourism is the economical backbone and major earning sector of this emirate. After considering its earning potential, governmental authorities decided to earn little extra from tourism and formulate a new kind of fee as Tourism Dirham Tax. Their major aim is to fund the upcoming event. Further, Dubai Corporation for Tourism and Commerce Marketing DTCM ensure that the introduction of new fee is the significant help which will support emirate to maintain its competitiveness on global stage by nurturing two pillars of trade and tourism in the region. Estimates showed that total capital gains based on these figures will rise the revenue between Dhs140 million and Dhs400 million a year by 2020 if each tourist will stay in a hotel or short stay even only for a night. The hospitality sector is not surprised after hearing this news as they are already aware that the same kind of tax is being charged in several other destinations across the globe. However, Dubai is facing criticism; experts mentioned that tourism tax is not expected to negatively affect the travel and tourism industry as the emirate has lot of things to offer along with year-round sunshine, white beaches and direct flights of seven hours to several important destinations across the world. They also expect that investing the tax collected from visitors will further improve tourism sector in emirate. Authorities tried their best to minimize any kind of negative impact over the tourism industry, they are not successful completely. Despite its low amount, tourists are not happy with additional charges. It looks a small amount but it is actually an additional amount that will be charged daily basis. The tax may not affect those who are staying for shorter period of time but it can be a significant amount for visitors who are staying for longer time period. It is expected that this will discourage tourists to stay longer in Dubai. Official from hospitality consultancy mentioned in their discussions that Government implemented this Tourism Dirham Tax just to provide sufficient fund for infrastructure developments which are planned forexpo 2020. Further DTCM has issued an official circular regarding the fee structure to all hotels. 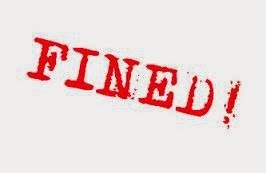 It has also been declared that Dubai hotels will be penalized and asked to pay the fine of total AED 15,000 if they do not implement the new fee with correct per night rate from March 31. The circular also mentioned that the tax must be specified in separate line on the bill. This will be an additional amount that every visitor needs to pay other than Municipality and service charges. I'm interesting in financial questions, especially when it's taxes. I would like to share my experience. Once I made a deep research for writersperhour.com on "Different Types Of Taxes. Their pluses and minuses". There are lots of countries where tourism is one of the most important economic parts. I would not give you tons of numbers and statistics, but I would like to share some of them, that I think might show the result of an implementation of "Tourism Taxes". More than 80% of governments in countries that implement such type of taxes increased the economic opportunities of their homelands during a short period. I think such countries like OAE have the same opportunities because tourism is one of the top 10 economic components of the nation.